You don’t have to be a lifelong resident of Alaska to know that it gets very cold there in the winter. For years, the tourism business in America’s largest state has focused on attracting visitors during the summer months, when temperatures get a little more hospitable for sightseers not used to the brutal cold. But more recently, Alaska Railroad has noticed something very interesting: rides from Anchorage to Fairbanks have spiked considerably, forcing the rail operator to add more service. 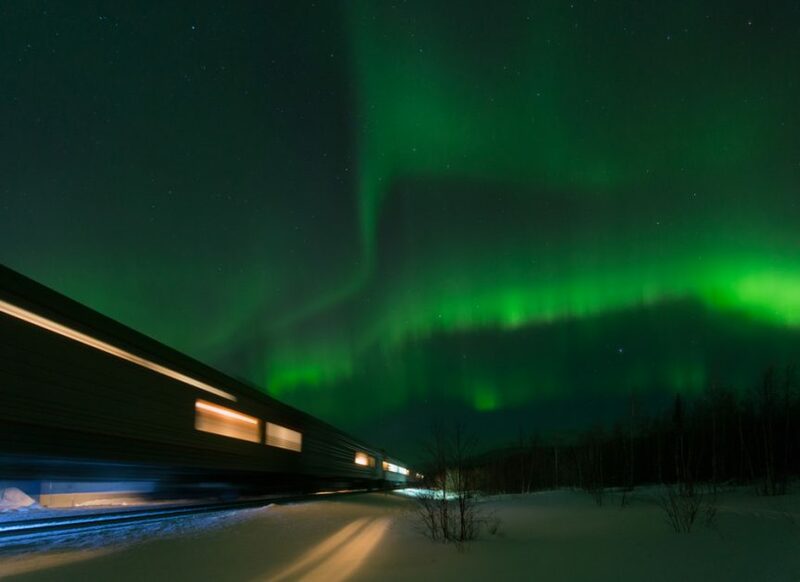 There are a host of different factors that could explain this recent uptick, but it’s the continued commitment of Alaskan rail that makes such travel possible. What’s Driving Winter Tourists to Alaska? A spokeswoman for Alaska Railroad told the Anchorage Daily News that ridership on the service’s winter trains increased by 33% between 2015 and 2016, the largest year-over-year jump in the company’s history. Since that time, winter ridership has only continued to grow. But what’s inspiring so many people to brave Alaska’s brutal winters? Tourism in the state overall has also seen a significant boost, thanks in large part to efforts on the part of both travel companies and the state government to attract visitors from China, Vietnam, Malaysia, and other Southeast Asian countries. Many of these tourists are attracted by the promise of aurora borealis, or the northern lights, a natural phenomenon that sits on the bucket lists of travelers from around the world. Who’s Driving Winter Tourists Through Alaska? Regardless of the factors sparking wintertime interest in Alaska, there’s one party that’s doing much of the work getting them to all corners of the gigantic state: the state’s rail industry. Alaska Railroad is particularly susceptible to stoppages and delays thanks to hazardous conditions, from below-freezing temperatures to major earthquakes. Keeping up with five consecutive years of increased demand during the winter season hasn’t been easy, but the rail service has persevered to deliver consistent service to its passengers. This consistency is a huge part of what’s been driving growing passenger train revenue. All the same, if Alaska Railroad and other rail operators in cold climates hope to avoid weather-related delays, they need a system that can reliably prevent ice and snow from sticking to switches and third rails. That’s why Midwest Industrial Supply, Inc. offers these businesses the high-tech anti-icing and deicing solutions they need to keep passenger service booming in even the most punishing of conditions. Products like Zero Gravity Third Rail® prevent the buildup of ice and snow using Smart Fluid technology, developed in collaboration with NASA and the Ames Research Center. Zero Gravity Third Rail stays in place regardless of temperature, which means that you can rely on it to keep your trains running safely and efficiently if it’s applied before storm events. If the ice has already reached your rail system, Midwest supplies deicers to effectively remove it so you can get moving again as soon as possible. More and more people are being drawn to the beauty of Alaskan winters. With anti-icing and deicing solutions from Midwest, Alaska Railroad can ensure they’re able to do it without fear of weather delays.